Your life revolves around your home. Whether you own a house, condo or apartment, your home is likely your most significant investment. Whether you rent or own your home, you probably keep most of your belongings there. Home insurance from The Williams Company can protect you and your family against damages and loss related to theft, vandalism, fire and covered natural disasters. We’ll look at a variety of options that can affect the cost of your premiums as well and help you choose the best value. Some of our customers prefer higher deductibles while others realize that lower deductibles are best for them in the event of a covered loss. 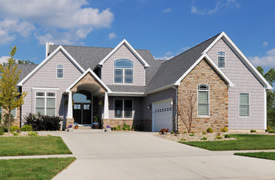 Other customizable features of homeowners insurance from The Williams Group include coverage limits as well as a choice between comprehensive coverage and coverage for only specified losses. Don’t worry if this sounds confusing. Your agent will happily explain the costs and risks of each option so you can understand and feel comfortable with the policy you choose. Many landlords and property management companies require tenants to carry renters insurance throughout the duration of a lease. Whether or not you are required to have a renters policy, we recommend that you consider this type of coverage. Like homeowners insurance, a renters policy often covers more than just your belongings or property damage for which you are deemed responsible. Your policy may also include. If you need a new home insurance policy or want to review an existing policy, contact The Williams Company today. We’ll do the shopping for you by checking rates at several major insurance carriers in order to find the best value for your money. Our clients are like family. We want to make sure you have the protection you need.